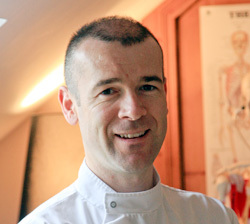 Dundalk Osteopathy Clinic is a new business based in the Specialist Medical Centre on Distillery Lane, offering Osteopathic treatment for the entire family at all stages of their life. Servicing the North East, we are open Monday - Friday from 11am – 9pm to enable you to avail of treatment day or night to suit your schedule. Crossmaglen Rangers and Armagh. I have visited Mickey for a number of years in the build up to championship games to be sure I am in the best condition possible to perform. Mickey takes his cue from his patients. You get to decide if you need quiet during the session or if you are up for conversation. He always asks for feedback and is responsive in his methods of individualising to suit my needs. He encourages me to be an active part in my own treatment by putting me to work with passive resistance stretches or offering me suggestions for moves I can do at home. He is open to ideas and interested to know what works for you. 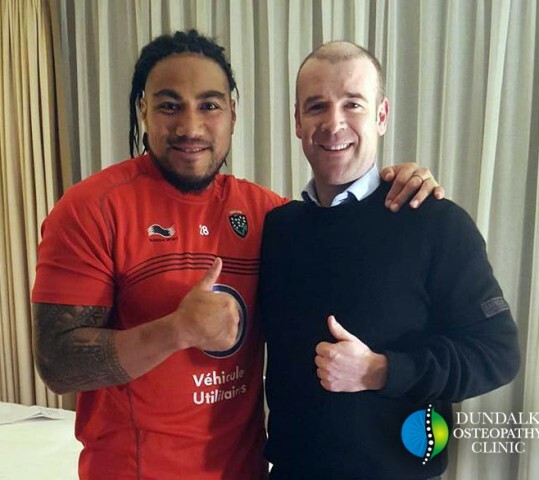 I recently had some Osteopathic treatment with Mickey prior to Toulon’s European Champions Cup clash against Leinster in Dublin. Mickey came highly recommended and I was very impressed with his approach. He was able to detect tender areas without being prompted and dealt with them effectively. It has not been that long since the Rugby World Cup with the All Blacks and the treatment left me fully rejuvenated and hungry for action. I would have no problem recommending Mickey for treatment. I had a lower back problem and had seen a number of physiotherapist but to no avail. After one visit with Mickey I seen improvement and the problem was completely eradicated after implementing the exercise regime recommended. Great treatment and very accommodating. Always gets results. Superior attention to detail on any visit to date. Symptom is treated as opposed to focus on a problem spot. 100% recovery each time. Top man. Getting better. Top quality treatment with attention given to the root of injuries aswell as injury prevention. Helped me back from injury so many times!! Top recommendation!! One of the best around.dosent just treat the injury but looks where it starts from and how it leads to that injury in the first place. Excellent professional and friendly service, highly recommend from first hand experience. Results 100%! Recently received treatment at the clinic. Mickeys knowledge, professionalism and attention to detail are second to none. Delighted with results. I would highly recommend him. I have recently finished having treatment for Achilles tendinopathy after 5 months. Although I�m not completely pain free, that will take time however, there is a vast improvement after many painful treatments with my friend “The Dolphin”. I would recommend Mickey to anyone. Even after he told me to throw away all of my Flip flops as he calls them the Devils footwear . 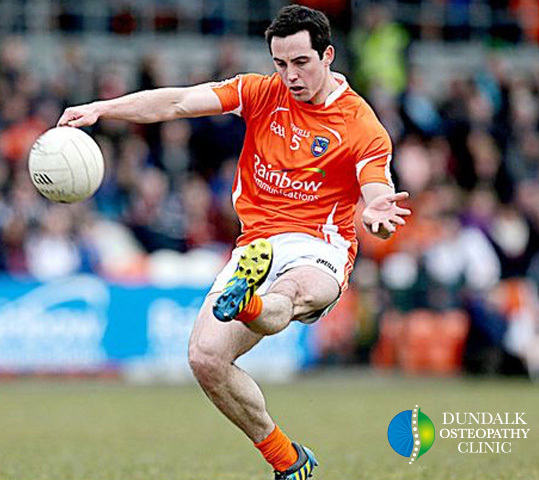 After recently dislocating my shoulder in a mountain bike accident I went to Mickey at Cuchulainn Injury and Sports Massage Clinic to help with my recovery and to kick start my training for 2014. Even after one session my shoulder muscles were released and my range of movement has vastly improved. Every stretch and movement was explained. I was given a program of exercises/stretches to continue at home, and even after a three month lay-up this treatment has already got me ahead of where I thought I’d be by now. I’d have no problem recommending this place to anybody! Top Drawer stuff!